Join us for a day filled with food and fun—there’s something for everyone. No one goes home hungry from the Cherry Blossom Fair. We have a record number of 15 countries represented this year and all of their treats are delicious. Try your luck at our game stations in the gym…Can you win a prize? Travel to the second floor and try your hand at our many arts and crafts. Our after school clubs are pulling out all of the stops and joining some exciting local groups to get you up, on your feet and smiling. 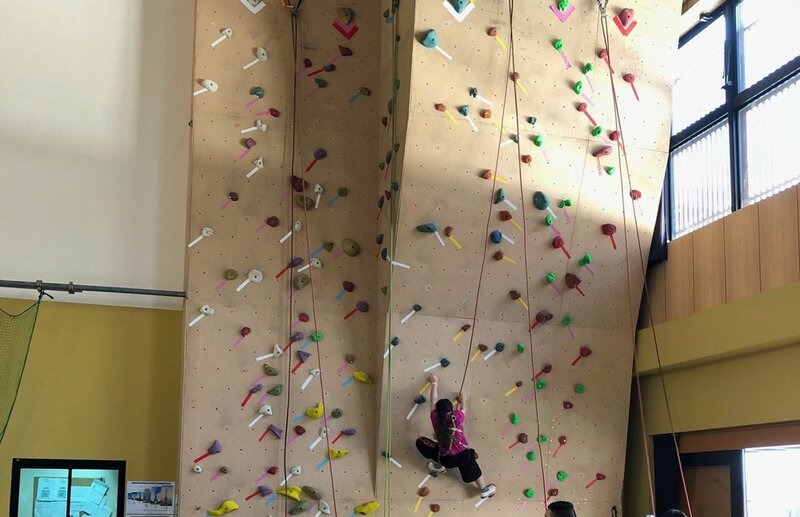 Come try our rock wall and see how high you can climb. We’ve changed our Bazaar this year—come find your new favorite toy and next year’s Halloween costume. Browse our book selection and add some new ones to your library.